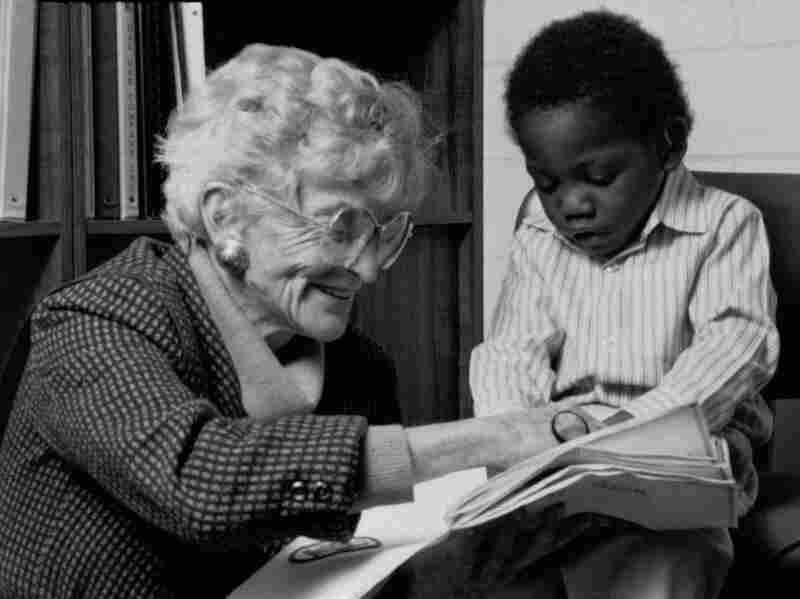 Remembering The Pioneering Audiologist Who Tested Hearing At Birth Until the early '90s, young children often weren't tested for hearing loss until they had already missed out on a critical period for learning language. Dr. Marion Downs was determined to change that. For more than 30 years, Marion Downs pushed for newborns to be screened for hearing loss soon after birth. Today, things are drastically different for hard-of-hearing children, thanks to the efforts of a remarkable woman: Marion Downs. "There's a critical period for language development that occurs between 12 and 24 months," says Jerry Northern, a longtime colleague. But many hard-of-hearing children wouldn't get hearing aids until they were 3 or 4, if at all. "And if children are not stimulated, they don't hear language and speech developed correctly, they are very often delayed and very often face educational problems for the remainder of their lives," Northern says. Often, it meant growing up in a separate educational system for deaf and hard-of-hearing children, says Christine Yoshinaga-Itano, an audiologist at the University of Colorado. Finally, in 1993, the National Institutes of Health made a consensus recommendation for universal newborn hearing screening. Today, 97 percent of the millions of American babies born in hospitals or birthing centers are screened at birth. Downs received the Highest Recognition Award from the Department of Health and Human Services in 2007, in honor of her "exemplary contributions to improving the lives of persons with disabilities." Marion Downs died in November. She was 100 years old.